Luca Guadagnino follows up 2016’s A Bigger Splash and 2017’s Call Me by Your Name with 2018’s Suspiria, a remake of Dario Argento’s 1977 film. The 1977 Suspiria remains ever-alert in its fantasy world of technicolor violence. 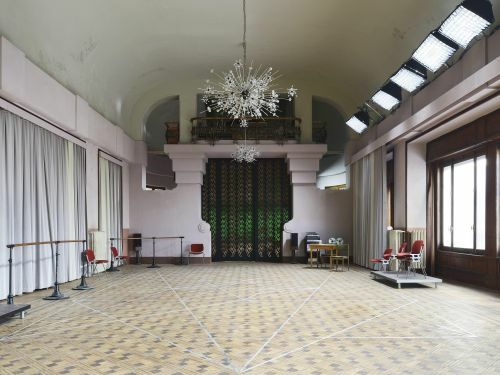 Life around main character Suzy Bannion seems unreal immediately upon landing in Munich and only descends further into the otherworldly as she uncovers more about her new home, the Tanz Dance Academy. Luca’s Suspiria is the original’s film negative. This remade Suspiria is grounded in the cold of divided Berlin, its characters weighed down by the murk of decades past. Luca Guadagnino brings his exacting sensibility to the horror, the details making Suspiria’s cruelty less lustfully surreal and more unsettling. Luca fans out the film’s plot, allowing what was once periphery to grow; as a result, his film is grotesque, enigmatic, political, and overwhelming. One of Suspiria’s creators is production designer Inbal Weinberg. 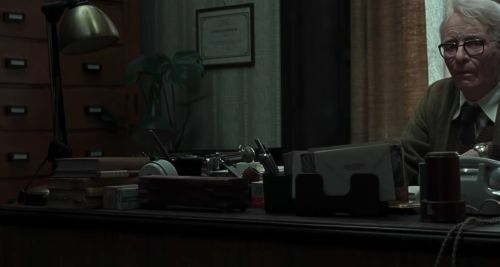 Weinberg has previously brought to life Three Billboards Outside Ebbing, Missouri; Beasts of No Nation; The Place Beyond the Pines; and others. We spoke about Suspiria’s myriad influences, its meticulous locations, and the look of Berlin. How did your collaboration with Luca Guadagnino begin? What inspired you during the design process? Mining for inspiration with Luca and his key collaborators was an exciting adventure. There was an openness to references from diverse fields and a willingness to “push the envelope.” Working in Europe and specifically in Italy, I was immersed in rich European culture and its hundreds of years of art history. We looked at architecture from the early modernist and art deco eras, surrealist art, pioneering performance art, and contemporary installation art. We also did deep historical research and were influenced by 1970s German feature and documentary films. I felt that there was an unusual appreciation of craft and artisanship in Luca’s circle, which manifested itself not only through sophisticated visual ideas but also in collaborations with well-known design companies. I was grateful to be surrounded by connoisseurs. Luca and I had a few color palettes that we devised by choosing favorite images and then extracting their main color components. We divided our film space into two – one world on the surface and one below. For the underground world of the witches, we went with a rich and dark palette of deep browns, greens, reds, and blacks, guided by colors picked out of Edvard Munch’s paintings. For our realistic day-to-day universe, we picked muted tones of pastels, grays, beiges, and browns, emulating European color palettes of 1970s. That particular palette was very in vogue at the time, and you can see it reflected in sophisticated fashion and advertising of the era. 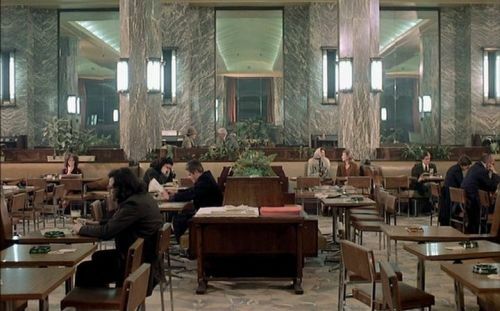 It’s also prevalent in arthouse films such as Chantal Akerman’s Les Rendez-vous d’Anna (which I screen-grabbed obsessively) and Fassbinder’s Third Generation. In terms of reference images, we found that the artist who made the most consistent use of that palette was, perhaps surprisingly, Balthus. So we used his paintings to guide us. In addition to his palette, another beautiful thing about Balthus’s paintings is that the paint has many layers and every color feels like it’s constructed from different hues. It’s very subtle, but if you look at his paintings closely it almost feels like the paint is moving. Luca requested that we try to create a similar effect when painting our sets. Thankfully, our scenic painters were incredible artisans and were thrilled to answer the challenge – they created every painted surface from at least two different paint colors woven subtly together. The film, in part, explores the German Autumn and the idea of Vergangenheitsbewältigung. Did the echoing past and immediacy of violence inform your visual approach, locations, and so on? I’ve been personally intrigued by Germany’s history ever since I can remember, probably because of my Jewish and Israeli background. I studied German in school and also lived in Berlin for a summer as a student and took classes on German 1970s film and Berlin history, so I was already familiar with the historical themes of our film. However, researching specifically for Suspiria was a much more in-depth visual exercise, and I uncovered many fascinating sources that helped me understand that tumultuous decade. I don’t know if my knowledge of the period affected my visual approach beyond my usual dedication to authentic re-creation. I think our approach had more to do with a specific visual zeitgeist that Luca and I were trying to capture. How does one recreate Kreuzberg and the feeling of the Berlin Wall/East and West Germany? Suspiria reminded me of Żuławski’s Possession in how close the Wall is to our main locations, almost choking them. Your astute observation about Possession is correct – we used the film heavily as a reference for Kreuzberg and the wall, among other things. 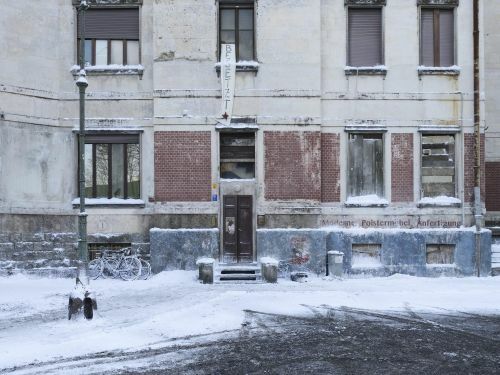 The exterior footage of Kreuzberg in Possession is so precise, it’s almost like a documentary. 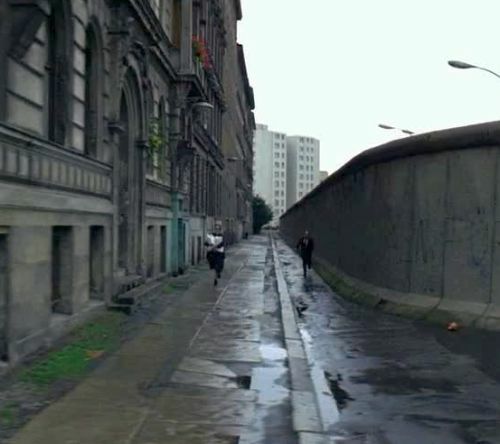 And at the same time, you kind of can’t believe that the wall was really that close to adjacent buildings – it feels like the filmmaker put it there on purpose to make a point. For me, the most interesting part of Suspiria’s research was thinking about the Berlin Wall. It is such an immense symbol in history, and at the same time it was also, how should I put it, just a wall. I find it a mesmerizing concept – people living in a city ripped apart by arbitrary forces, existing with this almost Kafkaesque piece of architecture, at once unimaginable but also so concrete. I was almost obsessed with the idea of the wall – on one of my scout trips to Berlin I got an apartment across from the memorial park that retains remnants of the wall, because I wanted to feel what it was like to be so close to it. I still think about it often, since even though the Berlin Wall fell triumphantly, tragically there are still walls being built around us today. Being Israeli and seeing the security fence getting built around the West Bank in my own country, I had a more acute understanding of what a wall means. And I’m sure other people on our crew did as well – my German propmaster literally recreated his own passage from West to East when he was researching passports and travels documents. And Tilda Swinton herself starred in a very poignant visual piece about the Berlin Wall, the 1988 documentary Cycling the Frame. Recreating 1970s Kreuzberg was not a simple task, mainly because Berlin has changed tremendously since the fall of the wall. It is now a vibrant cosmopolitan center undergoing constant renovations and architectural facelifts. Kreuzberg, where much of our story takes place, was almost a no-man’s-land in the 1970s due to its proximity to the Berlin Wall. The only people crazy enough to live there were artists and anarchists who squatted in abandoned buildings, or recently arrived Turkish immigrants who couldn’t afford to live anywhere else. Over time, the neighborhood gentrified, pushing out many of its 1970s pioneers and instead welcoming hip boutiques and tourists eager to check out the coolest place in town. Even though much of the architecture is the same today, it’s hard to imagine that all the cheerfully painted, well-manicured buildings were once boarded-up squats. Because we couldn’t shoot in the real Kreuzberg, we had to patch the period together from various corners of the city. I scouted extensively all around Berlin desperately trying to find those drab, unrenovated exteriors of decades before. Certain period Berlin sets, such as the passport control checkpoint, had to be built. Others, such as the Tiergarten Cafe where Dr. Klemperer meets Sarah, were designed and decorated from scratch in existing locations. Thankfully, we were able to find and shoot in some authentic locations such as the S-Bahn Dr. Klemperer uses to travel east, and more prominently the “Paris Bar,” a well-known bohemian bastion still in operation today. We had to build the Berlin Wall twice – once in Italy and once in Germany. My researcher and I surveyed remnants of the actual wall in Berlin, photographed and measured it. My Italian team then recreated it – hundreds of feet of it – outside our main location in the north of Italy. We not only recreated the wall but also created the street adjacent to it, since our location was on the top of a forested mountain and featured only dirt and gravel paths. We poured concrete for the sidewalks and cut slabs in the same shape of the Berlin stones; we laid asphalt and then aged it; we got municipal streetlamps trucked from Berlin and dug them into our set; we rented street signs from German prop-houses and designed graphics with the famous Berlin street-name font to mount in them. Then, in true Suspiria fashion, the road had to be used daily by the crew in order to access our location. So in a way, we were living on that street. Luca had told me about Campo dei Fiori during my initial interview, and sent me photos immediately after. It was an incredible location, but at the same time we were all aware of the huge logistical challenges it posed. The hotel had been closed for decades, and was in rough shape – the ceiling had collapsed in some areas, there was debris everywhere, no heat and barely any electricity. Luca, his producers, and I agreed that we should continue to scout around Italy, and I joined a scout to the Piedmont region to try and find alternatives. However, we quickly realized we would be hard-pressed to find anything resembling the grand architecture and structure of Campo dei Fiori. We therefore decided to put our energy into making it all happen. That location has such a beautiful art nouveau look, and I love its atrium. How much of the hotel had to be refurbished or altered to fit your purposes? The hotel was built in the early 1900s and had been decorated in the popular style of the era – a bourgeois version of art nouveau, very decorative and traditional (cherubs and vines). Luca and I wanted to reference more modern architecture, and were looking into architects such as Adolf Loos and Josef Hoffmann, who were the forefathers of modernism and disdained ornamentation. That meant many of the original architectural details of the building had to be covered or replaced. In the atrium, for example, the original floor was a stone mosaic with classical border decorations, which didn’t fit our style. Instead, we covered the entire area with a floor we created, made of wooden pieces painted to look like marble in a geometric pattern we designed ourselves. Another example are the columns, which were originally round with floral capitals. To hide those we built rectangular columns around the originals, faux-painted to look like green marble of the kind used by Adolf Loos in his famous Villa Müller. I’d like to know more about the two dance practice rooms – a few of the elements were so visual, like the massive curtain, the mirrored walls, the angular wooden floors. I’m glad you noticed the massive curtain! Even though its understated tones make it blend into the background, it was quite an ordeal to execute. 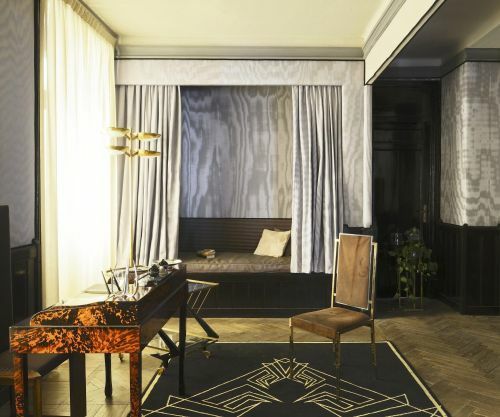 It is made of 150 yards of velvet fabric from Dedar, a high-end textile company based in Milan. Since they admire Luca’s work and taste, they agreed to basically donate an immense amount of fabric to us, which we used for window-dressing, furniture reupholstery, and wallcovering. Their product is extremely expensive, so it was such an incredible gift to be able to use their plush and artfully patterned material. The wooden floor was in very bad shape when we first encountered it. It had suffered layers upon layers of sealing materials over the years, and was buckling or disintegrating in various places. We set out to restore the floor, but every flooring company we invited on site declined the job after seeing the floor’s condition – no one believed it could be salvaged. Finally, after having almost given up, one of my crew members called up an old friend whose family was in the restoration business. Father and sons came and stayed with us for a week, diligently scrubbing off decades of dirt and resin, and meticulously gluing together all the broken inlay pieces. It is thanks to them that the floor shines so beautifully on screen. Another example of the incredible craft level that exists in Italy, which helped us tremendously through our shoot. The sense of solidarity among the coven is conveyed so well through their communal eating. Their kitchen and dining area was detailed and rich, but I just loved their massive moss-colored table. I want to know all about that table. Ah, you’ve touched upon my favorite set! Personally, I felt that the kitchen highlights the great juxtaposition within the witches’ world between the ordinary and the supernatural. Their breakfast routine, complete with robes and hair-rollers, is so hilarious. When they’re at the table, they are the most like Fassbinder characters to me – mundane and crude but still all-powerful underneath. Designing the kitchen was one of my pleasures. I love 1970s kitchens, and since visiting the 2011 MOMA exhibition “Counter Space: Design and the Modern Kitchen,” I’ve been obsessed with Grete Schütte-Lihotzky’s “Frankfurt Kitchen,” the first kitchen designed for mass housing projects. Even though it was made in the late 1920s, it laid the groundwork for future kitchen design and influenced generations of designers. In that vein, I decided to research early modernist kitchens and came across a beautiful kitchen from the Sonneveld house in Rotterdam, which was designed in 1933. I thought it was a perfect opportunity to tie together the 1970s and much earlier decades. I wanted the blend of periods to be slightly confusing to the audience so that they subconsciously wonder about the witches’ timeline – how long have they been around? My set decorator Merissa Lombardo and I talked about the communal table at length. We wanted it to be utilitarian and old, and we both had in mind these enamel-top tables common in large commercial kitchens of the early 20th century. Of course, as soon as we started looking in vintage stores for this table, we realized that we will never find one large enough to hold 20 people. . . . So once again we decided to fabricate our own piece. We found a young team of carpenters out of Milan who built the large table for us and installed it on location. After which it was barely ever moved – it could only be pushed a few feet from one side of the room to another because it was so massive. Of course, then one morning Luca devised a complex one-shot around the cramped space to show all of the witches arriving for breakfast, and the grips wanted to smash our table to pieces. But it survived the onslaught! 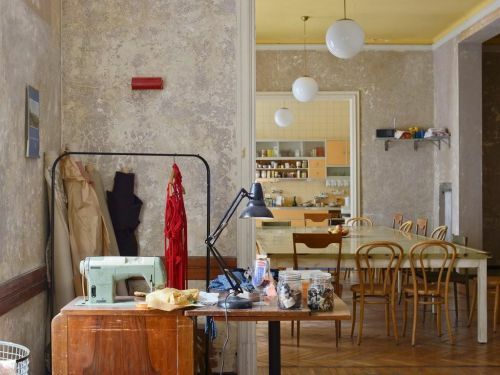 How do you make spaces like Dr. Josef Klemperer’s office and dacha feel honest and lived-in? Interesting question, since it encompasses two very different answers. For Klemperer’s office, our references were photos of Sigmund Freud’s practice as well as my personal photos of my great aunt’s apartment, both in Vienna. Then our Berlin shoppers came across an amazing find – they discovered a collector of vintage psychology-related material who not only held an antique psychologist’s couch but also a large library of vintage psychology books. 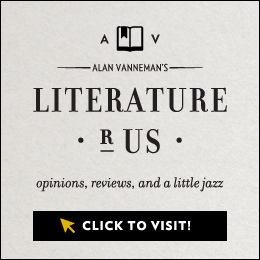 The book collection was so perfect since it was clearly amassed by a Jewish scholar – it featured professional literature but also countless books about Jewish history, culture, and the creation of Israel. It was almost identical to collections I’ve seen at my great-aunt’s apartment and other homes of relatives from the WWII generation. So we basically rented that entire library! We hired a team to pack up 2,000 books, plus couch, and truck it down from Berlin to Varese, where we rearranged it into shelves that we built to fit the room. It was quite a mission, but it looked so beautiful in the end. That entire apartment was such a wonderful set – it was full of personal touches inspired by personal history (mostly my family’s) and great reference photos from both fine art and documentary sources. I think it was our most beloved set; during the shoot, many crew members from various European countries told me how much it reminded them of their own parents’ or grandparents’ home. We built the entire apartment in a tucked-away corner of the grand hotel, and I think there was something magical about the fact you could just wander down the abandoned hallways, open a door, and find yourself in someone’s home. The dacha came about in a totally different way, though no less magical. The original scenes were actually written for a fountain in a park, where Klemperer goes every day to have his sandwich and basically wait for his wife to come home. I had scouted every fountain in Berlin, of which there are many, but somehow none fit our story – either the background was too modern or the fountain wasn’t the right style, and so on. One day we were scouting in a remote part of the city because I wanted to show Luca a period train station called Plänterwald – I had been looking for a station where Dr. Klemperer could arrive in East Berlin, and Planterwald was indeed a former East Berlin station with a great dated look. As we were driving around that area, Luca became intrigued by its bland Soviet bloc architecture and the little colonies of garden-houses. These types of tiny-home communities are common in German cities, where apartment dwellers sign up for small plots of land to garden. They often build little shacks on their plots, where they store equipment as well as cook food and hang out in the “countryside.” I’ve driven past many such communities in Germany and Austria, and they always pique my interest, which I’m sure is what happened to Luca – he asked us to stop the car and we all got out and started walking the parameters of one of the compounds. We literally went down the path featured in the film and came as far as the dacha we liked the most – it immediately stood out since it was picturesque, dated, and slightly neglected. As we were standing there, Luca started rethinking the script, and quickly the new concept of Klemperer’s garden-house arose. A few days later, we had a new draft and the key to the dacha. When Sara finds the space with the glass reliquaries, we just get a flash of the relics. Could you tell me about these glass reliquaries and the silver hook present within? That set is called “The Room of Shelves,” and it comprised 55 art pieces from many different artists around the world. My set decorator and I first devised a concept for the room, which was based on Victorian cabinets of curiosities and turn-of-the-century natural history museums. We then scoured the internet as well as our personal networks of artist friends to find art that would fit the room. The idea was to curate a kind of collection that the witches would have put together. It needed to involve some of their tools of trade as well as representations of their victims and ritualistic elements they may use for worship. We tried to combine various materials but mostly preferred porcelain since it created such uncanny tension between the sensitive material and the content of the work. 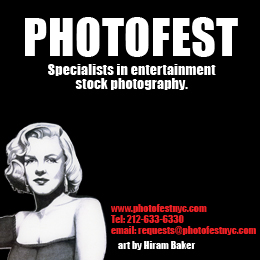 We were very lucky to find amazing art and very collaborative artists who let us borrow their work at minimal cost. It was a huge endeavor since the art was so delicate and we had it shipped from all over Europe, but in the end it came together beautifully. Some of the pieces were actually fabricated by local artists to exact specifications from Luca, who requested, for example, porcelain figures of dancers in specific positions. In a similar vein, Luca was very specific about the silver hook – we looked at various references of existing hooks, but Luca had a specific thing in mind, and he pulled up a reference of this very refined series of vases from a well-known company called Wiener Silber Manufactur. They were spiderlike creations made of silver, extremely delicate but somewhat menacing, made by a master silversmith by the name of Ted Muehling, who operates out of New York. I got in touch with Ted’s Soho studio, and after discussing our project, Ted gratefully agreed to collaborate and create the silver hook for us. He sent us two originals in different sizes, and we then created multiples that could be used in various scenes. Ted’s hook was exquisitely crafted and quickly became one of our most heavily featured props. Often, the different pieces of visual language in Suspiria work in concert with one another seamlessly. This is especially true of the performance of Volk. How was this sequence put together? The great thing about working on location is that everyone is together all the time. Luca is especially keen on having his collaborators nearby, so the inspiration is almost contagious. We had our talented choreographer, Damien Jalet, work with his dancers on Volk for weeks while we were prepping and shooting. First they worked in a studio in town, and then they rehearsed in the set. Damien and I were in constant communication, and he showed me the piece as it progressed. It was Damien’s idea to work with a complex pentagram shape as his floor element, which he shared with me early on. The graphic element was so strong that I recreated it in various places, most prominently on the studio floor for the Volk performance – it became part of our pantheon of witchcraft. Was there always the desire to film Suspiria in 35mm, to use practical effects for Markos and elsewhere, to have most of Elena Fokina’s key scene performed with little computer-generated imagery? Yes, I believe so. Personally, I’m a huge film advocate and always try to work with similarly minded people, so it was no surprise to me that Luca and Sayombhu (Mukdeeprom), our director of photography, were adamant about using 35mm film. We also were in agreement when it came to visual effects – we felt that contemporary visual effects often force a certain look on a film, disconnected from reality, which by now has become a strange norm in the industry. We traded examples of recently shot period films and discussed where we thought they had gone wrong in their overuse of visual effects. I think it helped that most of our crew members on set came up in a pre-computerized film world and were well versed in working with film equipment and traditional SFX rigs. For some of our big scenes we had three film cameras rolling, and the crew worked so naturally in that environment, it was like stepping back in time. Since nowadays shooting on film is a rare experience, I felt even more acutely that we were communing with the ghosts of films past. Could you take me through the design and conception of the witches’ sabbath? The idea for the room where the Sabbath ritual took place, which we called “The Room of Feasts,” came from one of the hotel’s prominent architectural features – a huge canopy that hung over a part of its gardens, now wild and unkempt. It was a kind of “loggia” – a covered exterior gallery – and it featured some odd plaster ornaments that we were intrigued by. 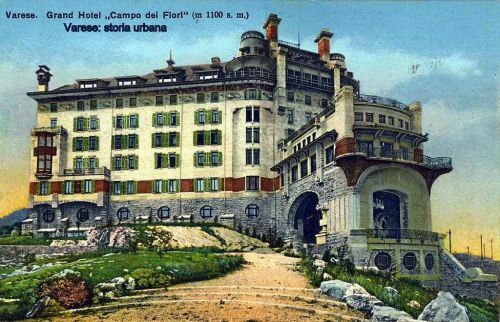 Whereas the rest of the hotel featured cupids and cornucopias, the loggia columns were more expressive and somewhat abstract, perhaps as a gesture to the surrounding mountains. The most impressive feature of the canopy was its height, 27 feet, and the fact that it was accessible by an imposing set of stairs. So the bones of the structure were there, and all that was left for us was to enclose it and turn it into the heart of darkness! Once we came up with our construction plan, it still took us a while to hone in on the exact design elements that would define the eerie, primal space – the colossal dresses symbolizing the three mothers, the dark floor tainted by decades of ritualistic sacrifice, and the texture of the surrounding walls, which meant to invoke human hair and was made of bales upon balrs of hemp fiber. It was a difficult space to work in – middle of the winter with no heat, and all of us up on scaffolding braiding human hair. . . . Just another day at the office for the Suspiria art department. Thank you for speaking with us, Inbal. Unless otherwise indicated, all images are screenshots or still photos of the film provided by Amazon Studios. Still images are the work of Mikael Olsson. Sam Ankenbauer lives and writes in Ann Arbor, Michigan. In his spare time, Sam works at an independent theater.